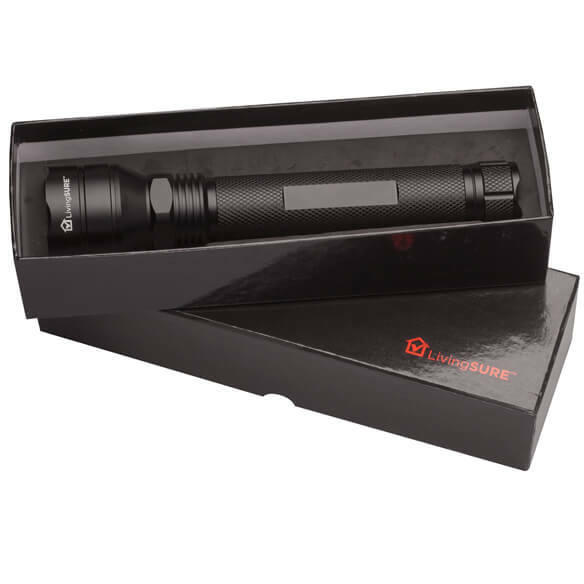 Designed with performance and extreme durability in mind, this 10 3/4" Tactical Flashlight by LivingSURE™ features a military-grade aluminum body that's engine-turned for an additional layer of protection. 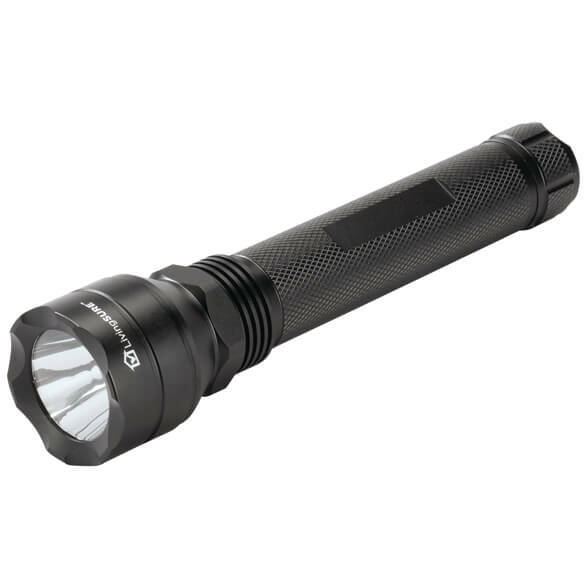 Boasting similar design features of high-end defense flashlights used by military and law enforcement personnel, its scalloped striking crown can be used to break glass or for self defense if needed. A simple touch of the rapid release tailcap switch offers quick access to high, medium, low, blinking and SOS light modes. Uses 3 D batteries (not included). 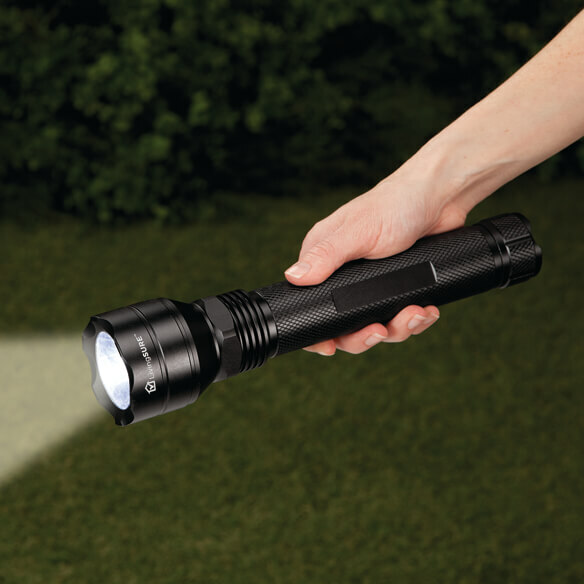 It's size for one, 600 lumens, size and materials. Seems like it should last a long time.